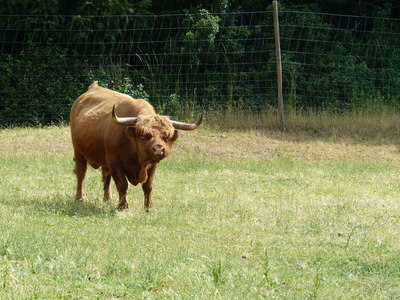 Cattle are often seen on the grounds at Youngberg Hill in McMinnville, Oregon. This image was taken during an oral history interview with Wayne Bailey on June 8, 2016. Bailey was interviewed by Linfield College Archives staff Rich Schmidt. Wayne Bailey is the owner of Youngberg Hill in McMinnville, Oregon. Purchased in 2003, Bailey overhauled the entire estate, including vineyard management, winemaking, tasting room, and hospitality. The 50-acre hilltop site includes an inn that hosts various events. Linfield College Archives, "Wayne Bailey Interview 06" (2016). Browse All Willamette Valley Oral History Interview Photos. Image. Submission 173.